For brands based outside the UK, it can be hard to keep track of the regulatory and technical requirements for broadcast in the UK. Our international versioning expertise allows us to support advertisers by preparing global campaigns for UK broadcast audiences. This is all part of our fully account managed playout process. 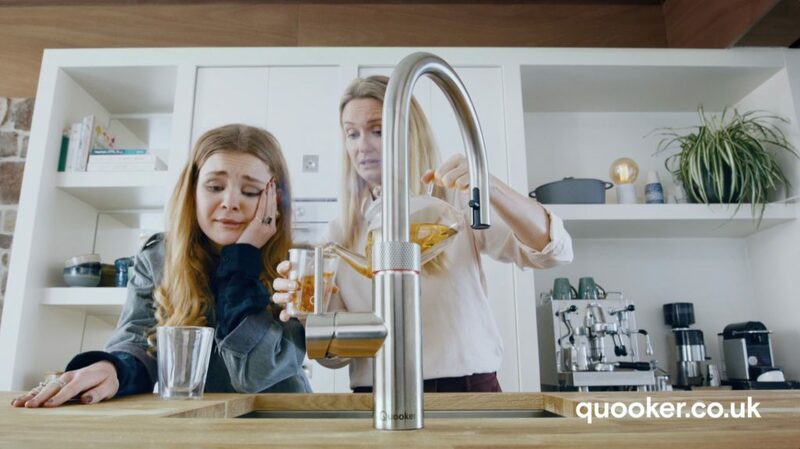 Working in partnership with media agency Total Media, we helped Quooker, the boiling water tap company, get their commercials to broadcast in the UK. The long-standing, family-run firm manufactures their products in the Netherlands and had their commercial filmed and edited there as well. Our account managers liaised with the brand’s Dutch post production house to obtain the master creative assets. Our post production team handled technical QCs, clocking and delivery of the final two commercials to our broadcast playout partner. To make sure everything ran smoothly, our account managers took care of the TV admin including UK pre-clearance, final clearance and approvals as well as the copy rotation instructions. We were able to provide Total Media with the assurance that their new client’s commercials reached their stations on time and to spec, so they could be aired correctly according to the media plan and reach their intended audiences. For more examples of our clearance and commercial playout projects, click here. You can watch our short video which highlights the services we provide as part of our fully account-managed playout process, or speak to one of our account managers to find out how we can help get your next campaign on air.